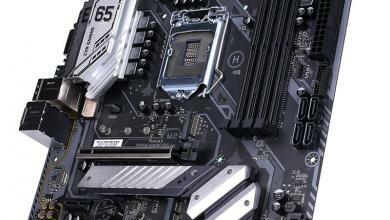 Before we proceed with the motherboard review, a primer on the new Z97 chipset is necessary. 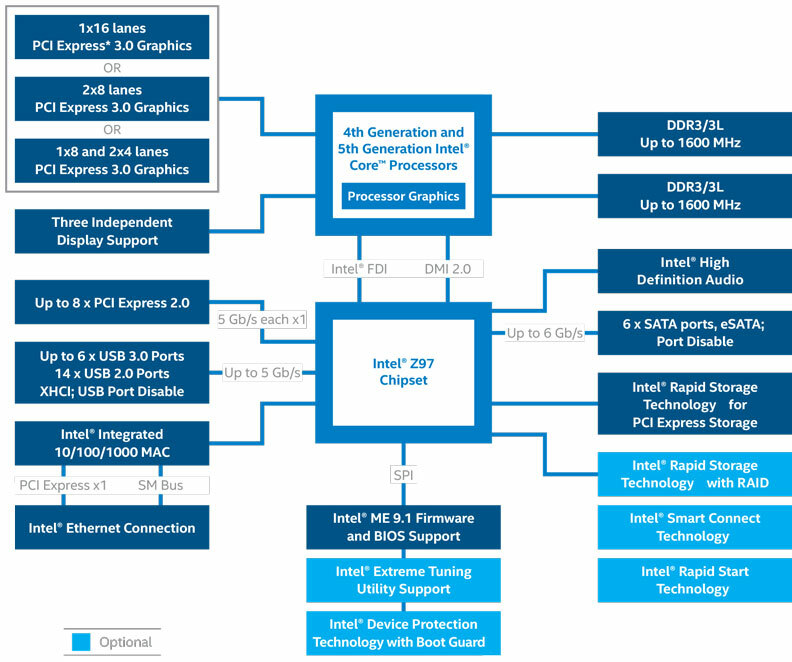 First, close your eyes and think of the Z87 chipset features. There. 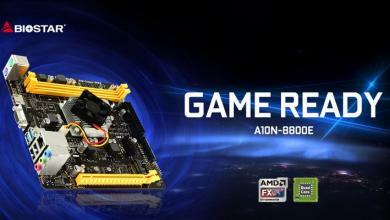 You are already up to date with what the Z97 chipset can do. 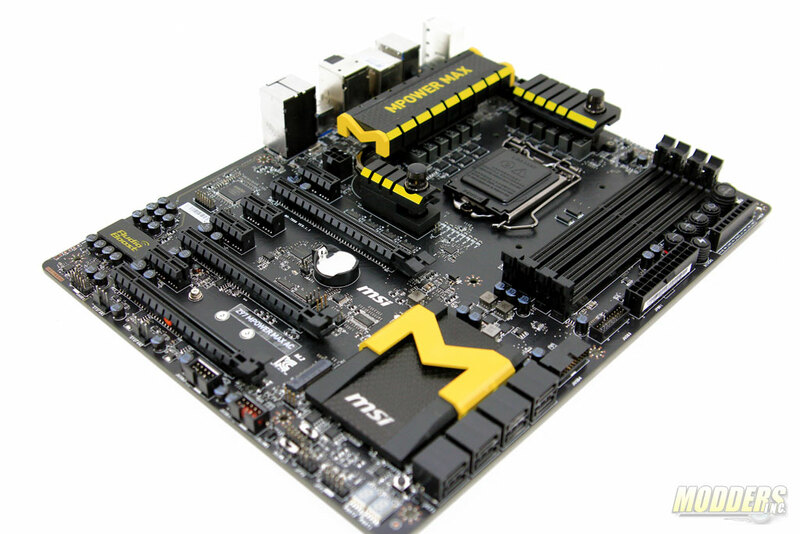 Oh and also M.2 SSD support has been added, which some manufacturers might even opt not to put in their boards. It sounds boring if you look at it that way, but whenever limitations like this happens, motherboard manufacturers seem to step up and design exciting motherboards boards to compensate for the lack of native change in the chipset’s part. Do you the remember the Z68 motherboards that came out to replace the P67 chipsets? It is pretty much the same deal here. Much like Hollywood, most of the releases we will see are going to be sequels. Some will be great and some will fail to be better than the original. The only way to find out of course is to actually review them in detail. 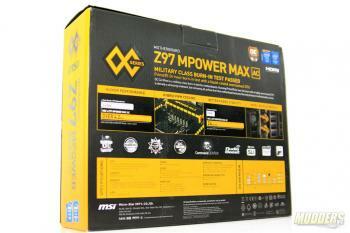 The Mpower MAX AC motherboard is part of MSI’s OC series mainboard line using a yellow and black color scheme introduced with the previous generation Z87 mainboard release. 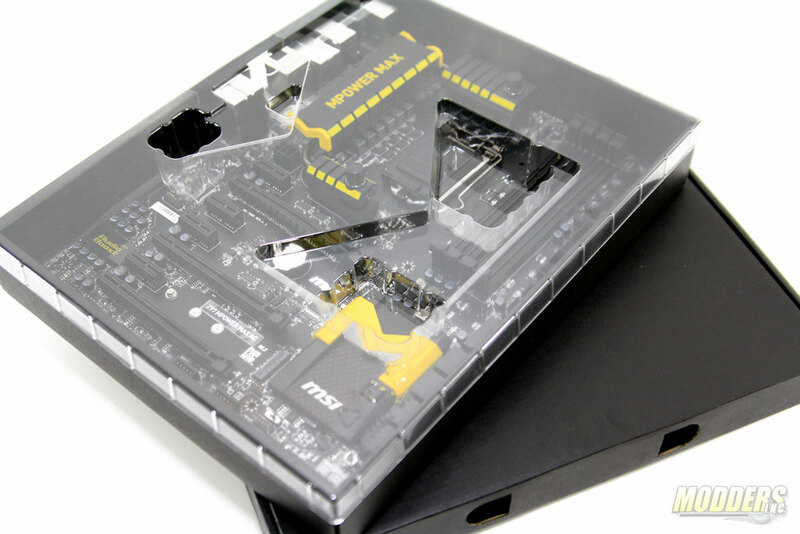 The front cover flips open for a preview of the board itself and the components inside are separated into two boxes, one for the motherboard proper and one for the accessories. Being a high-end product, the MPower MAX AC accessory box is quite full with the standard driver/utilities disc (spanning two-discs), software and hardware user’s guide, IO shield, front-panel M-connectors, six SATA cables (half of which are angled on one connector end and the other three have straight connectors on both ends), and dual-SLI cable. 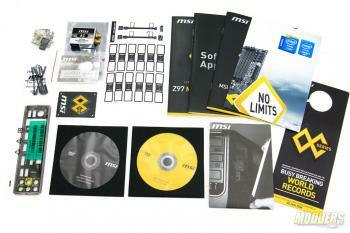 Bonus accessories include a fold-out poster which doubles as a motherboard feature map on the other side, a powered eSATA kit, metal case badge featuring the updated MSI OC-series logo, V-check extension cables, wireless 802.11AC WiFi module kit with a pair of magnetic-base antennas, and SATA cable label stickers. Noticeably absent is the USB 3.0 expansion slot bracket that was included in the Z87 version of the Mpower MAX for the second on-board USB 3.0 header. Wi-Fi/Bluetooth expansion module with Intel Dual Band Wireless-AC 7260 chip. Bluetooth Wi-Fi/Bluetooth expansion module with Intel Dual Band Wireless-AC 7260 chip. 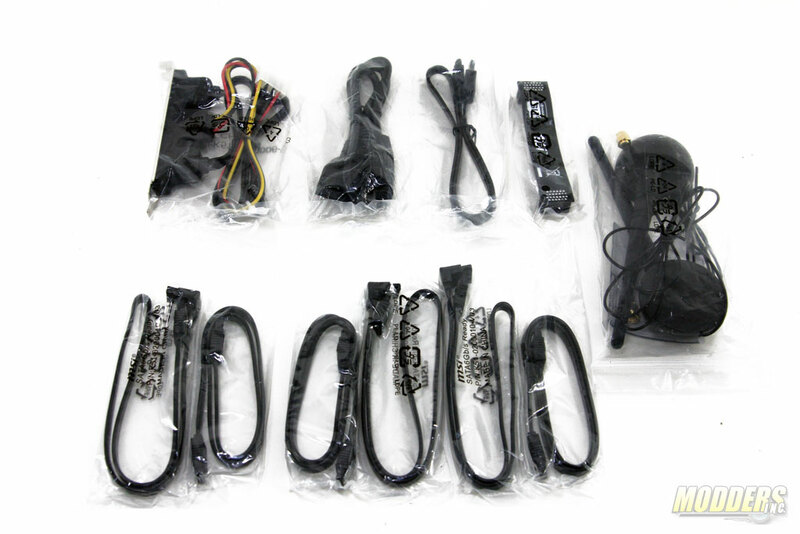 NOTE * The SATA5 and SATA6 ports will be unavailable when installing a module in the M.2 port. Great review!, love that you put time into looking what the power delivery system is on this board. 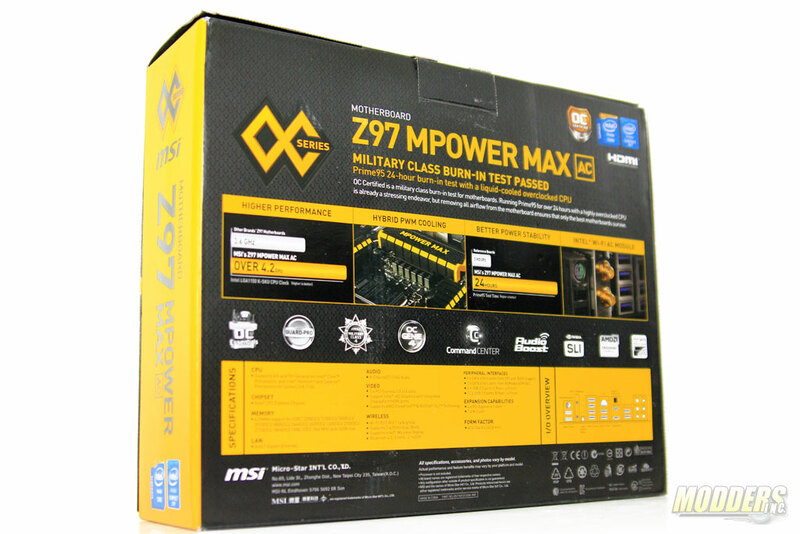 They downgraded from the 20 to 12 and changed the components of it, my question is; Is this worse or better than the old power delivery system of the Z87 MPOWER (MAX)? Hello, thanks for reading. I am fairly conservative when it comes to economics and design so I don’t fault them completely for doing that. 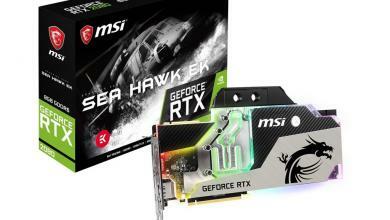 Also, MSI is not the only one who scaled back with the design on their boards, which I think is much efficient anyway given current and upcoming CPUs. Hybrid plus less capacitors understandably is harder to accept after seeing the last model but I have a feeling we will see less and less monster VRMs from all manufacturers. I am not an LN2 overclocker so unfortunately I cannot speak with authority on how grossly this is affected but on air, I don’t think it is an issue IMO. 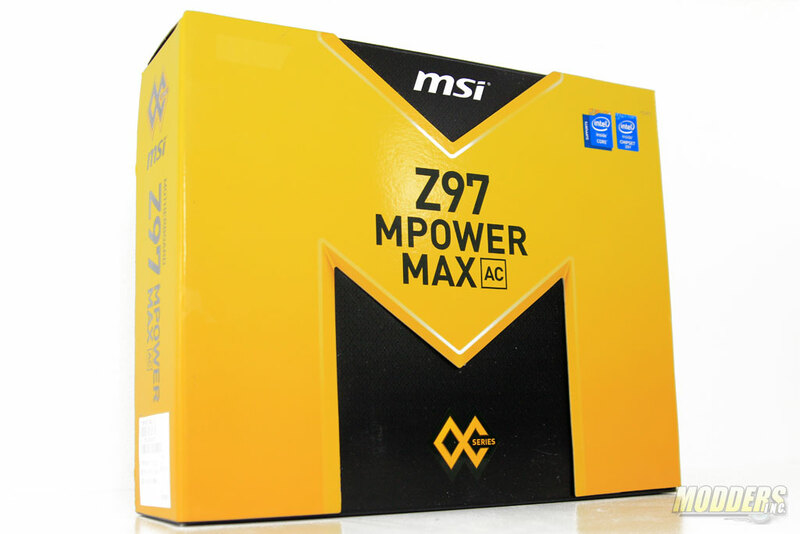 The Z87 Mpower MAX AC is still the better deal of the two currently ($239 on NewEgg) hence I did not give the Z97 version an Editor’s Choice award. Technically is a kinda of an upgrade since previous generation used a 5 true phases design with quadruples (5×4=20 hybrid phase design) and it was controlled by a digital high quality IR3563B PWM, now they use 6 true phases with doublers/drivers package (6×2=12 hybrid phase design) but with a ISL6388 PWM witch is a new product with no much info about it and products from ISL usually are hybrid analog/digital controler witch is not better than fully digital and for that is also a kinda of downgrade but still needs confirmation. The rest of the components mosfets and inductors seems to be as equal quality as from previous generation. In real world this only appears to affect price that seems pretty good for the features and power delivery is more efficient no doubt on that. 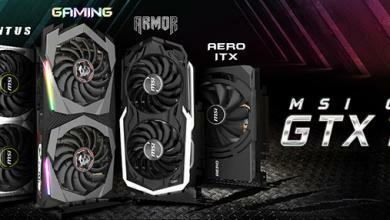 MSI is pretty solid manufacturer and a lot bigger than most people think. It seems to be that ISL6388 is Intersil’s first fully digital controller. I have no clue if it is in indeed an upgrade. Is there any difference on mpower and mpower max? For a average game/media use? maybe some slight overclocking too? Hows the PWM or such compared to each other? 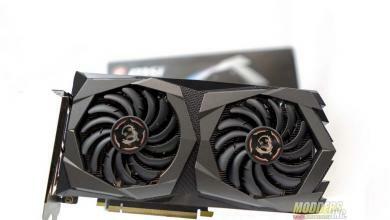 Looks like the difference is just a few features: fewer USB 2.0 and 3.0, lack of fixed MOSFET heatsink barbs, WiFi, e-SATA and additional HDMI for Intel graphics. 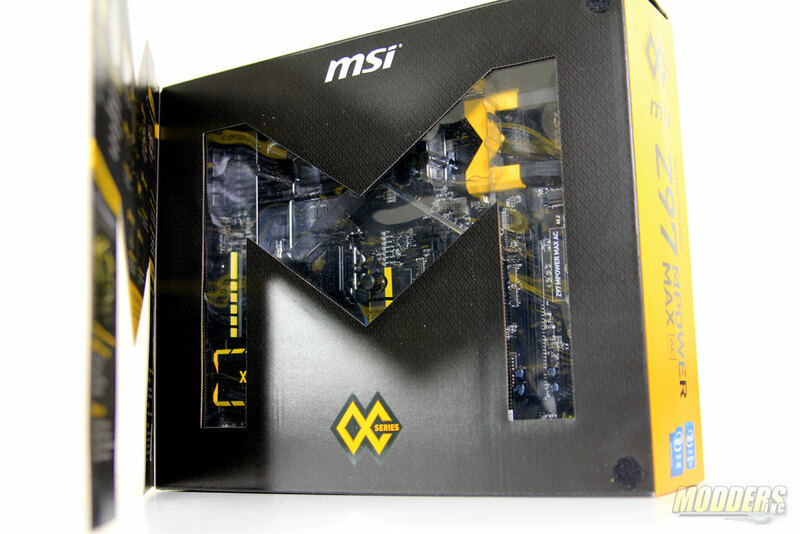 On the Intel Chipset heatsink, with the big M, is that thermal paste? Or is it some kind of thermal compound? It is solid (albeit soft), flat and very thin tape at room temperature. It is closer to thermal compound in terms of moisture than the drier pink thermal tape used on other chipset heatsinks which leaves harder to remove residue (ASUS Z87 RoG chipsets). Oh, good. If i take off the heatsink, do i have to replace or change it? I intend to paint the heatsink, but i dont know what to do with the thermal compound/pads. You can scrape it off completely and just replace it with thermal paste or a thin thermal pad. The chipset itself has a very low TDP ~5W so cooling it is not really going to be difficult.